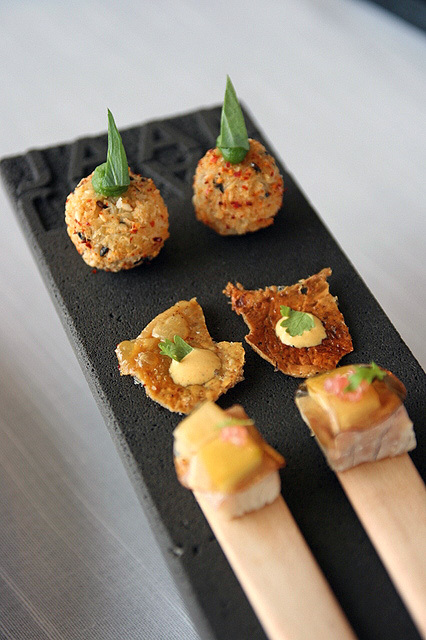 Starter bites - sesame crusted potato croquet, grilled chicken skin, and smoked eel parfait with pickled apples gelee. The potato croquet has a cheese centre, but a pretty hard crust. They are nicely seasoned though. The chicken skin I had wondered if they would taste like "kawa", the Japanese grilled chicken skin, but they are entirely different. This is less fatty and more chewy. The smoked eel is beautifully rich but the apple cuts through the oily fish nicely. 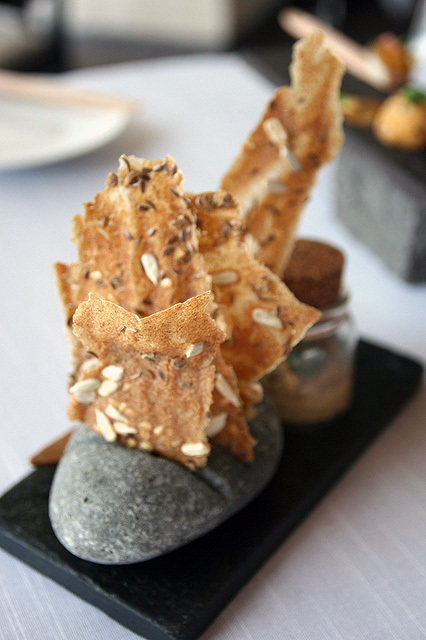 Rye crisps with lentil hummus and chestnut. For me, the strong nutty flavour of chestnut didn't work with the hummus, but I know of people who do like the combination. Love the crisps though. This is such an incredibly intense mushroom concoction, it will almost leave you parched at the end. They get this intensity from using both dried porcini from Chaspuzac (Auvergne) and fresh porcini mushrooms for the mushroom tea. The soup is topped with fresh walnuts sourced in their own shell from Perigord. So what do you do with such a full-flavoured soup? Indulge in breads with it! 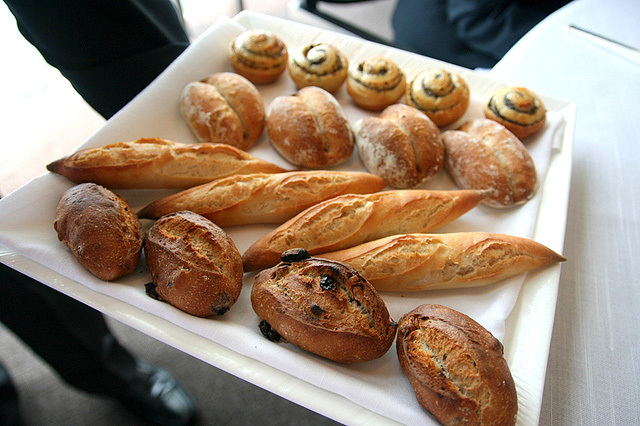 The French are so good at breads - you must try each and every one of these! This colourful garden-like array really kicked off the meal with fascinating flavours. 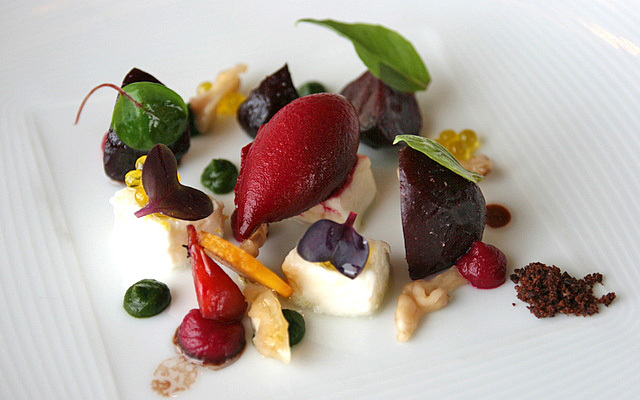 The beetroot is presented in varied ways (pureed, roasted, red and golden beetroot and sorbet) so you get to play with flavours and textures. The creaminess of the artisanal burrata cheese, intensity of the olive sugar and crunch of the almonds paired with the basil help to balance the earthy and sweet flavours of the beetroot. A singular delicate slice of pickled chioggia beetroot adds another layer of crunch and texture to the dish. 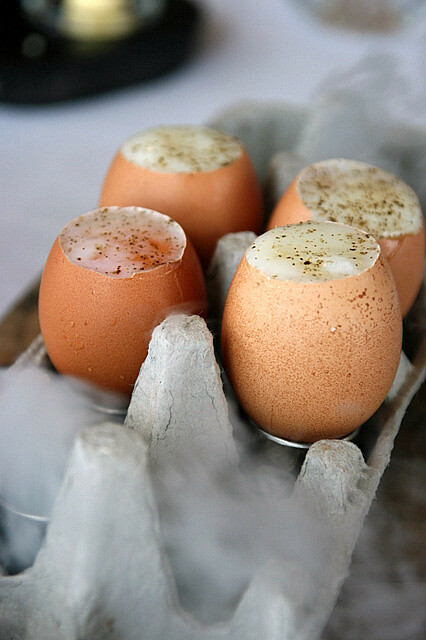 And then came some organic New Zealand eggs on dry ice. These have been slow cooked for 55 minutes at 64 degrees Celsius to achieve that creamy translucence. It is carefully poured at the table, along with some creamy artichoke veloute. 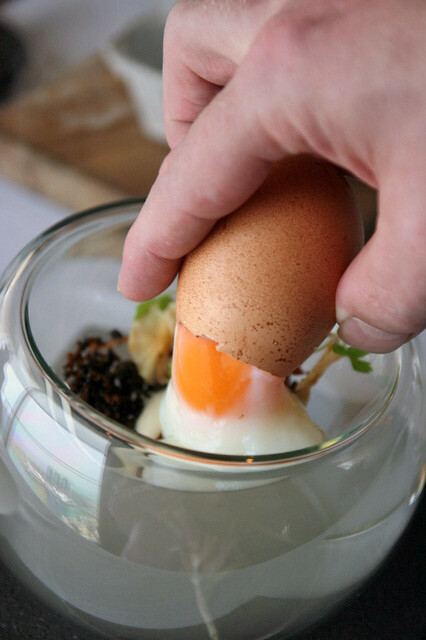 The runny golden egg yolk intermingles with the iberico de bellota from Salamanca and the sweet nougat-like porcini crumbs. 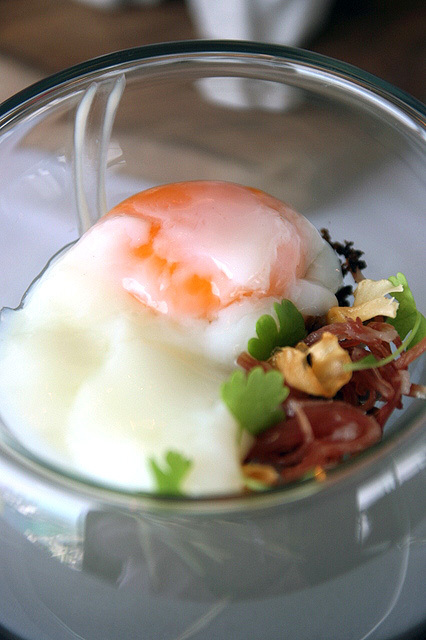 Bet you've never had ham and eggs as silky and suave as this! 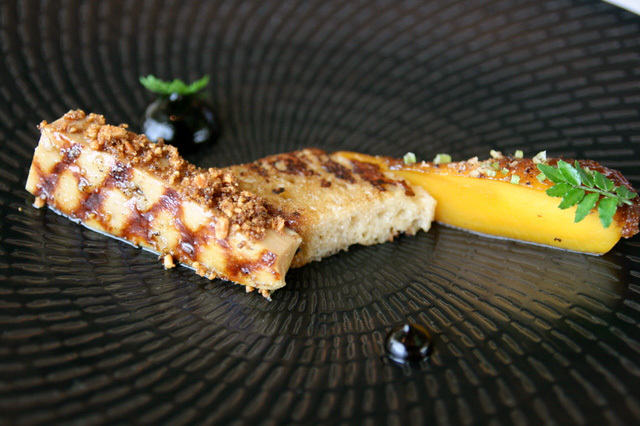 The foie gras is from Landes, a region in South West France. Its richness is pared down with a spiced mango and pedro jimenez sherry jelly. The mango is gently caramelized and seasoned with a beautiful long pepper from Java as well as coriander stems, fresh ginger and lime zest. Finally, the jelly of xeres adds a nice comforting and woody flavour to the dish. The Arctic Char (a fish from the cold waters of Leman Lake, Switzerland ) is delicately confited in seaweed butter and paired with kombawa zest scented crayfish, mussels, whelks, cauliflower couscous, sea grapes (oh, memories of Okinawa!) and baby leeks. The wait staff (well, we had Chef Royer himself, as seen in first photo) will micro plane burned poilane bread (specially sourced from the poilane bakery in Paris) over the fish to add a smoky dimension. Cute play on word "char" too. Tender venison from New Zealand is slow roasted and paired with the pear that's been poached in spiced mulled wine. The sauce is finished with a hint of bitter chocolate. Note that these are all tasting portions. 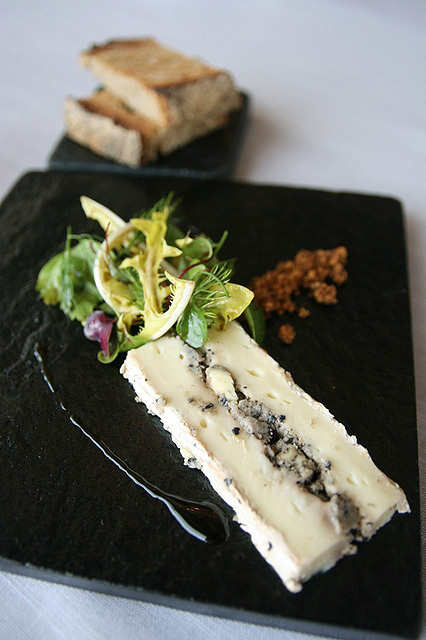 Truffle-filled Brie with toast a.k.a "Can I just come here and eat this?" The cheese fiend in me strikes again. This slab of heaven is my perfect dessert. But wait, we aren't even at pre-dessert. 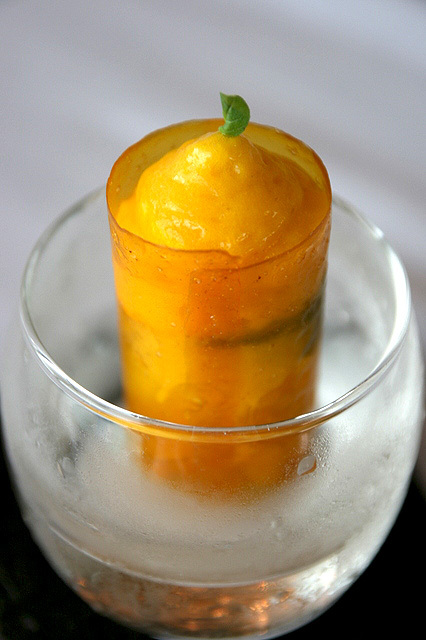 And it's this palate cleanser of Mango Mousse with Lychee Sorbet, infused with Thai Basil. Sometimes it's the little things that wow you. The Choconuts consists of layers of sable biscuit, peanut butter (consisting of roasted peanuts from Piedmont), films of chocolate and Tanariva (a milk chocolate) mousse. 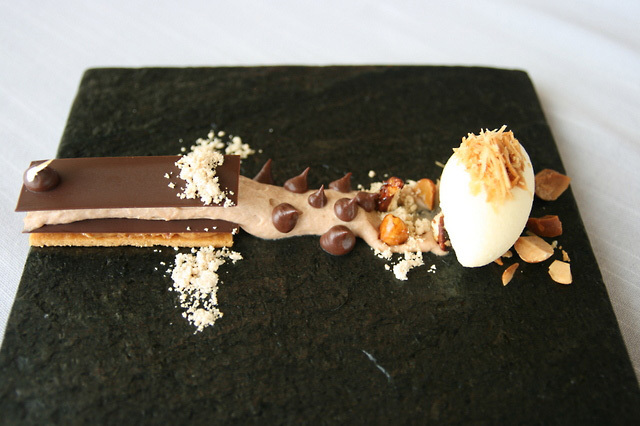 The plate is sprinkled with peanut praline and the dish is served with a housemade macadamia ice cream. Pleasant but pretty safe in terms of flavours. Sweet endings for your meal - before farewell, they serve you a platter of petit fours to spoil you silly. 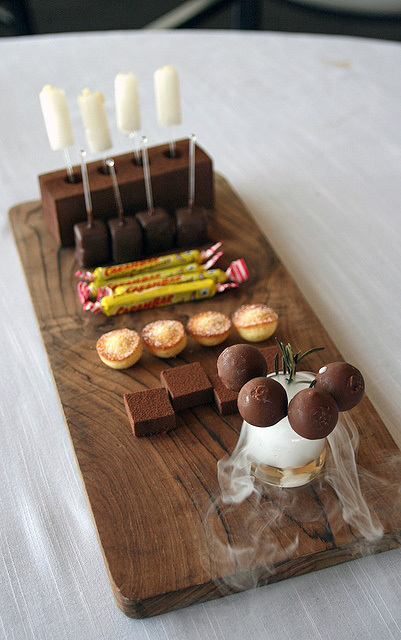 Sorbets, chocolate, Carambar caramel snack bar (from chef's childhood), madeleines, chocolates, and a chocolate-coated rosemary ice cream lollipop. The Carambar is best eaten after it's been warmed a little. 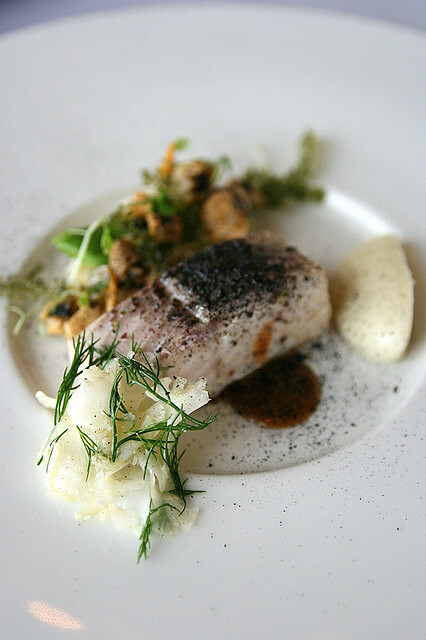 The seasonal dishes will be at JAAN until end April, after which new ones will arrive. 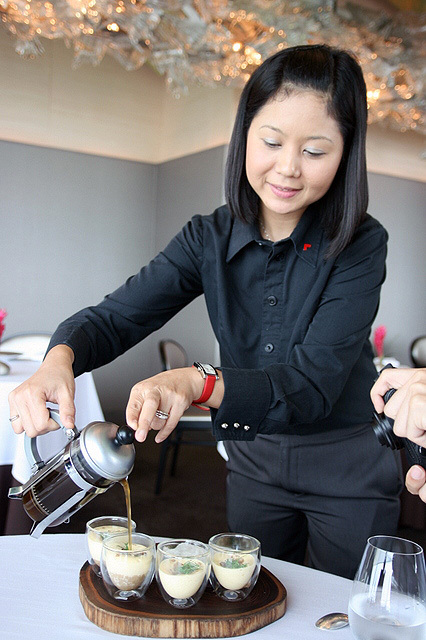 Lunch with coffee goes for S$52 (three-course menu) or S$82 (five-course menu), while dinner is S$198 for five courses (S$318 with wine pairing) or S$238 for seven courses (S$418 with wine pairing). 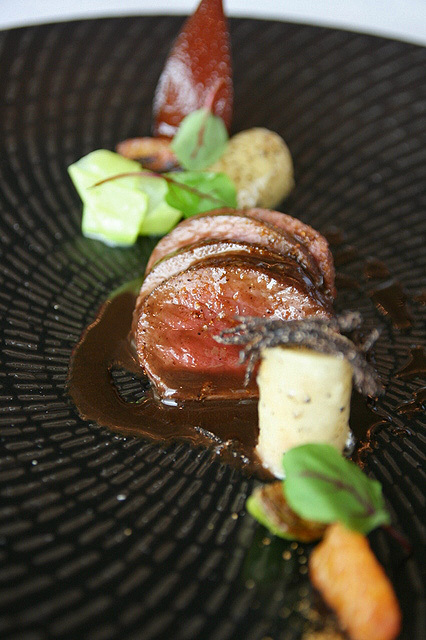 A la carte options and a special ten-course surprise dinner (S$288) are also available. P.S. Did I mention the view from the 70th floor? 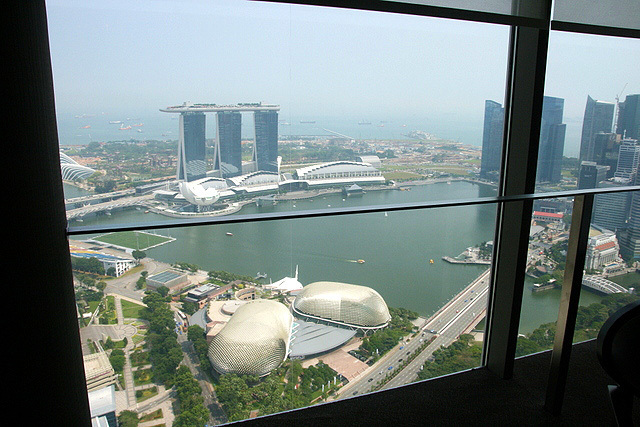 Many thanks to Swissotel the Stamford and Ate Consulting for hosting the lunch. Good lord.. what an exquisite meal.. i am totally on the floor, green with envy woman! I wanna go JAAN! Heh...I thought you tried JAAN before I did? :) Well, always good to go again! Yes, the 3-course menu looks like a very good deal! Plus you get all the little treats before and after. Haha, Timing! Glad you got a chance to meet him. Did you like his food? 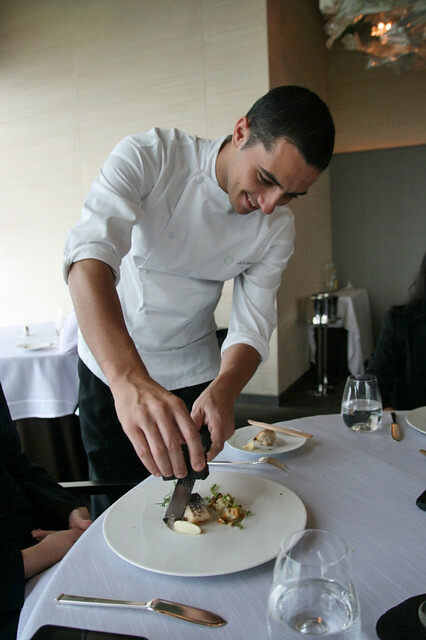 He may be young but he's got a wealth of experience already, including training under Michelin star restaurants. Can I know if your tasting menu is the 5 course, a la carte or .... ?? It's a mixture of various items to show what's available across the board. Also, these are small tasting portions.